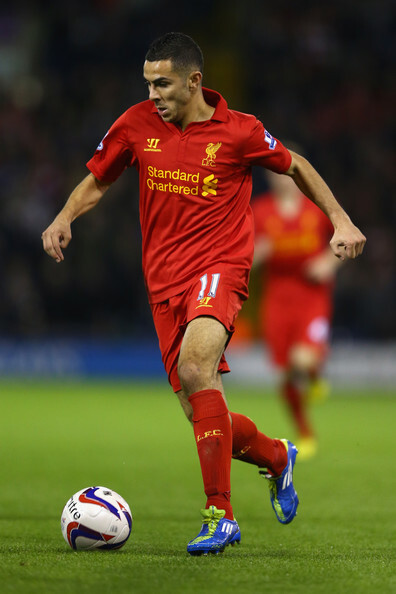 Stoke have agreed a deal with Liverpool to bring winger Oussama Assaidi on loan for a season. Assaidi is expected to make his debut for Stoke this Wednesday in the Capital One Cup tie against Walsall. The Moroccan was reportedly in Stoke on Tuesday putting the finishing touches on a deal to take him to Stoke. The 25-year-old was reportedly at Stoke’s win against Crystal Palace at the weekend. Assaidi was signed last summer by Brendan Rodgers for a fee of 2.4million, but just made 4 Premier League appearances. Liverpool are likely to dip into the transfer market over the next week of the transfer window, wanting to bring in a winger and a centre back. Liverpool have made a surprise bid to take Chelsea star Juan Mata on loan, but Chelsea see the Spanish star as a key member of their squad and turned down the loan offer. Tottenham have also enquired about the availability of Mata and were interested in buying the player outright. Chelsea have hijacked Tottenham and Liverpool’s bid for Brazilian winger Willian, and with Chelsea still after Wayne Rooney, Tottenham and Liverpool were hoping that Chelsea will be willing to sanction Mata’s move away from the club. Chelsea, though, have maintained their stance with Mata stating he is not for sale, quickly rebuffing Tottenham’s and Liverpool’s interest. Tottenham were reportedly believed to be prepared to spend 30million on Mata, while Liverpool wanted to take the 25-year-old on loan for a season. Mata could yet push for a move away from Chelsea if he feels threatened by the recent acquisition of Willain, especially that Mata wants to go to the World Cup with Spain and will need regular football. 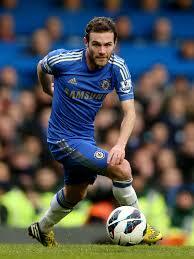 Chelsea manager Jose Mourinho believes that Mata is a big part of Chelsea still though. He said: “He is very important for me and very important for Chelsea. 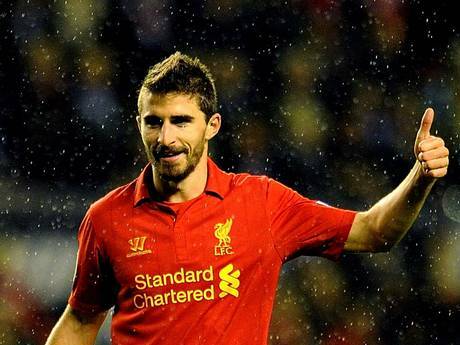 Brendan Rodgers is adamant that Liverpool striker Fabio Borini will not be leaving the club on loan this summer. The Italian has had a troublesome time last season at Liverpool, as a serious shoulder injury forced him out of action for most of the season. The Italian under-21 has made just 13 league appearances scoring once since joining from Roma last summer. Rodgers has confirmed that Borini, an unused substitute in their first two league games, will remain at the club. “There would be a queue of clubs wanting to take him if he was available. We want to keep a strong group, it’s a very long season for us,” he said. “You’ve got Daniel, Fabio, Aspas and Luis to come in a number of weeks. Liverpool boss Brendan Rodgers wants to bring in Chelsea winger Victor Moses on a season long loan deal. Chelsea manager is told Victor Moses he can leave this summer as Chelsea have a wealth of attacking wide players with Hazard, Schurrie, De Bruyne and the possible new signing of Willian, along with Mata and Oscar who can both play in wide positions. Chelsea are said to want a 2million fee for the Chelsea winger from anyone that wants to bring Moses in on loan, but Liverpool will try to secure his release in reduced terms. Moses earns 55,000-a-week at Chelsea and Liverpool are reluctant to match his wage salary. But Rodgers relationship with Chelsea boss Jose Mourinho is set to drive the deal to completion. 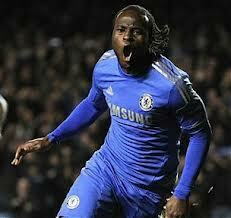 Moses has been told by Chelsea that they won’t agree to a permanent deal, but will agree to a loan deal for him. Liverpool are confident they can strike a deal with Chelsea to bring in Victor Moses before the September 2nd deadline in the transfer window. 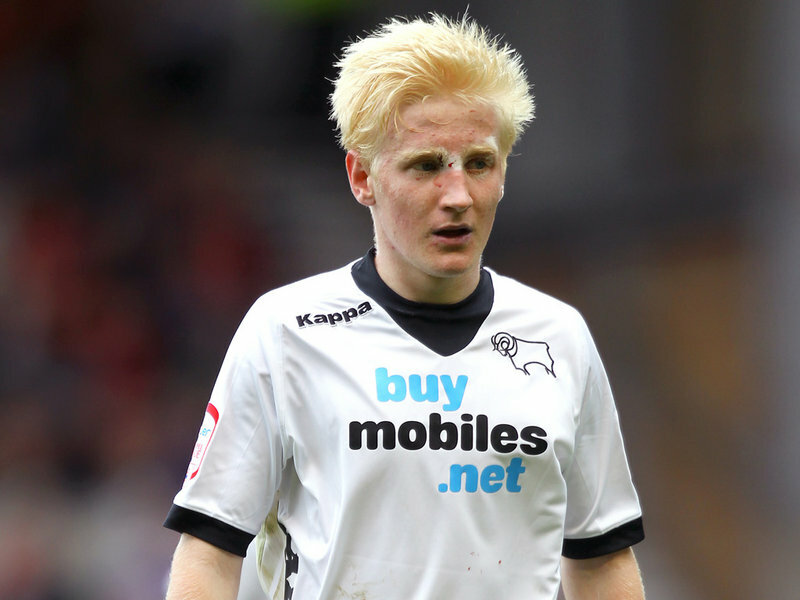 Derby have told Liverpool that it will cost at least 15million for the Midlands club to depart with teen sensation Will Hughes. Reports also indicate that Derby will want Hughes back on loan for the remainder of the campaign if Liverpool were to meet there valuation of the player. Hughes is a huge talent and Derby are convinced that the 18 year old’s value will increase if he stays another season in the championship. The England prospect has been likened to a long term replacement for Liverpool and England captain Steven Gerrard. Derby, though, are keen to keep Hughes at the club for another season as Nigel Clough is keen to push Derby higher up the championship table. Hughes played a stunning 35 games last season for Derby in the Championship at just the age of 17, scoring twice in the process. The 18 year old has played in all of Derby’s fixures so far this campaign as well. Simon Mignolet has already made himself an instant kop hero with two brilliant displays against Stoke and Aston Villa. Looked much more comfortable in goal after looking a bit nervy last week against Stoke. The Belgium made two brilliant saves to deny Christian Benteke on both occasions with the first being a full stretch save to deny a curling striker from Benteke. His second was in the 86th minute as Benteke met the ball in the box with a powerful half volley being denied by a brilliant stop from his Belgium colleague. Glen Johnson is always reliable at Liverpool and was again here today. Worked hard all game to nullify the threat from Gabriel Agbonlahor, who was exceptional in his first two games. Didn’t have too many chances to attack the Aston Villa defence, but was a good defensive game from Johnson. Daniel Agger had another solid display in this match today as he forges a new partnership alongside Kolo Toure. The Dane put his body on the line a number of times during the match, especially his clash with Aston Villa keeper Brad Guzan from a corner. The new vice captain partnership with Kolo Toure goes from strength to strength as they keep another clean sheet with a solid display. Kolo Toure proved again why Liverpool got him as a free transfer as he put in another brave display for his new team. 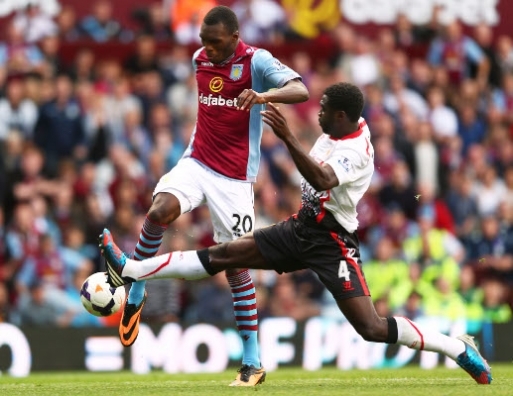 Toure had the tough task of stopping Christian Benteke, which he did as Benteke rarely threatened during the match. The Ivorian gives Liverpool some height in the box, something they have lacked for a long time. Jose Enrique claimed the assist for the goal from Daniel Sturridge, but otherwise his display was average. Some of his passing was wayward as he lost the ball to many times in dangerous positions and doesn’t look comfortable when he is on the ball sometimes. Enrique can be unplayable on his best day but just lacks the consistency that is needed when playing for Liverpool. Lucas did brilliant to shield the defence from Aston Villa. Lucas is often the unsung hero as he gets himself about the pitch making vital tackles and interceptions and rarely loses the ball. You notice the gaps that Lucas not playing would give if he was injured and is one of the most underrated players in the Premier League. Steven Gerrard was inspirational today in getting back and defending the onslaught from Aston Villa in the second half, although some of his passing was wayward for Gerrard. Made tackles and put his body on the line for Liverpool in a hard fought battle. Did not have a lot to do as the Aston Villa defence kept him quiet for most of the match. The second half was all Aston Villa and Coutinho is not the best with his defensive duties. If he is to remain a winger then he will have to learn to be wary of leaving spaces when he attacks. The Brazilian is clearly better in the number 10 role as he does not have much defensive responsibility but Liverpool lack quality wingers to replace Coutinho in that position. Henderson put in an effortless display running from box to box, but with Liverpool being so much under pressure from Villa he did not have much time to show his qualities. Got into the box well which is pleasing to see from a midfielder, but drifted out of the game for too long. New signing Iago Aspas had a comfortable game as he just like Henderson and Coutinho did not have a lot to do. Showed a lot of neat little touches during the game and showed he can be a tricky customer, but did not get enough off the ball to showcase what he can do. Daniel Sturridge put in a scintillating display again here and scored the winner, just like he did last week against Stoke City. His goal was well taken as he called for Coutinho to dummy the ball as collected it and danced past a number of defenders, took the ball around the keeper and slotted it into the roof of the net for a goal of the month contender. Looked lively and dangerous all game and even defended in the second half as Villa piled on the pressure. At one point in the match he was in the right-back position which just emphasised his overall performance. Liverpool’s new signing Aly Cissokho was a brilliantly used tactic from Rodgers as he took of Aspas for Cissokho to bring more height into the game and so that Cissokho could get back more and defend. Looked powerful and some of his runs were brilliant as he tried to take the pressure of the Liverpool defence. Rodgers attempted to put on Joe Allen to try to control the game a lot more, taking of Coutinho for the Welshman. Some of his passing was wayward but helped Liverpool to defend more than what Coutinho and Aspas would off. Allen helped cover the gaps in midfield and it worked for the final minutes as Rodgers closed off the match well with some good substitutions. 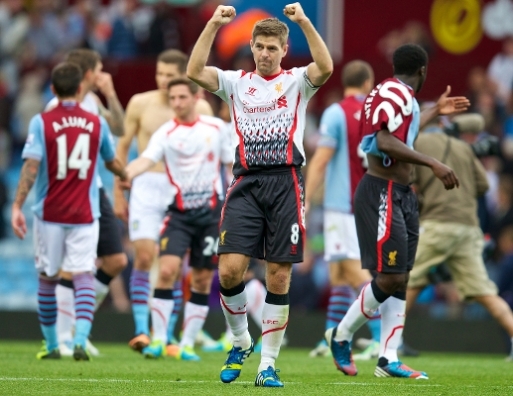 Liverpool earned their second 1-0 victory in the space of a week as they held firm against a resilient Aston Villa team. Aston Villa went into this match in good form as they beat Arsenal in a stunning 3-1 display last Saturday and they battled Chelsea to a narrow 2-1 defeat where they deserved a point. Liverpool’s task was to stop a firing Benteke who had scored 3 goals in 2 games against top opposition. Liverpool named an unchanged line-up from the team that beat Stoke City 1-0 comfortably, with new signing Aly Cissokho starting on the bench. Liverpool were aiming to make their best start to a season since the 2008-09 season by getting 2 wins from 2. Liverpool certainly made a positive start to the match as they dominated possession and dictating all the play, but chances were coming hard to come by for Liverpool. Countinho’s 15th minute curler was the closest Liverpool came in the opening 15 minutes of the game. However just after the 20 minute mark the deadlock was finally broken, and deservedly, broken by Liverpool. It was a well worked team goal as Enrique looked for Coutinho, who got a shout from Sturridge to dummy it, which he obliged and the ball ran into Sturridge’s path who showed nimble footwork to dance beyond several challenges and slam the ball into the roof of the net. The visitors kept control of the game for the rest of the half, but with four minutes until half-time Simon Mignolet was called into action with a full stretch save from Christian Benteke’s curler. Moments after Villa continued their first good spell in the match as Andres Weimann had a powerful shot deflected just over the bar for a corner. 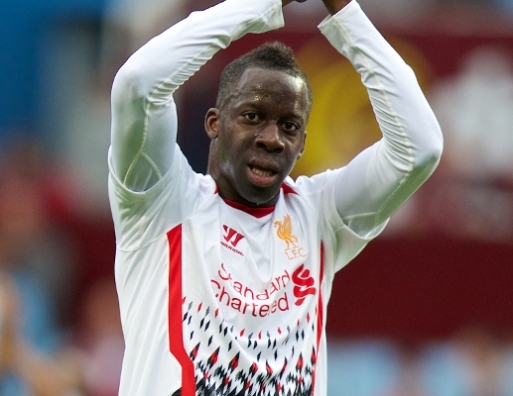 Liverpool introduced new signing Aly Cissokho to the match for Iago Aspas, as they looked to close off the match. Villa continued to pressurise the Liverpool defence as Kolo Toure’s headed clearance found its way invitingly for Gabriel Agbonlahor who volleyed the ball agonisingly wide. Then, on 86 minutes, a bouncing ball was latched onto by Christian Benteke in the box who lashed a powerful strike towards goal, with Liverpool’s Belgium stopper turning the ball round the post brilliantly. Liverpool had a late penalty appeal turned down as Sturridge rounded the keeper, with Brad Guzan making contact with Sturridge with the ref turning down a certain penalty. Liverpool held on for a well worked three points as Liverpool make it two wins from two in the league so far. 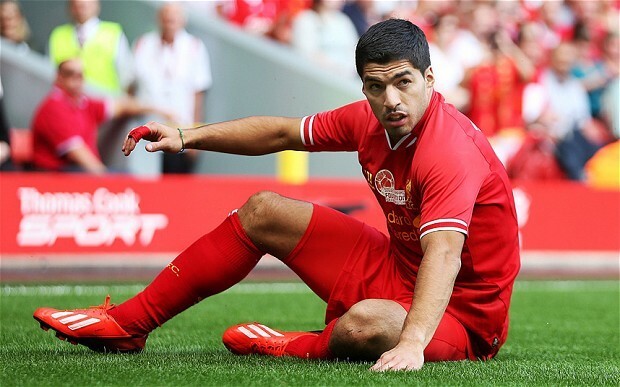 Liverpool are bracing themselves from a last minute bid for Luis Suarez from the Spanish giants Real Madrid. Suarez tried to engineer a move away out of Anfield to Arsenal, but the London club have pulled out due to Liverpool’s reluctance to sell to their rivals. Now, though, Liverpool are preparing to brace themselves for a bid from Real Madrid for their star striker Luis Suarez. Arsenal made a bid of 40,000,001, which was nowhere near the Reds valuation of the player, and now Arsenal have pulled out of the race to sign Suarez. But Real Madrid have re-entered the race to sign the Uruguayan, and are on the lookout for a new striker after losing Gonzalo Higuain. Suarez has stated before that he is keen on a move to Real Madrid, stating that they will be hard to turn down and that he is keen to play alongside Cristiano Ronaldo. Liverpool are reluctant to sell their striker to anyone due to their not being long left in the transfer window now, and if Suarez were to leave the figure would have to be at least 50million before Liverpool even consider letting him go. Simon Mignolet had a superb debut for Liverpool yesterday. The first 20 minutes of the match he looked a little uncomfortable in the Reds goal, making a few mistakes when he received the ball at his feet. But he made a three top class saves during the course of the match. The first coming from a curling shot from Jonathon Walters which Mignolet had to spring across his goal to prevent Stoke taking the lead in the game. The second of his high profile saves came when Stoke were awarded a penalty in the last few minutes of the game and Mignolet sprung across to his right to dramatically rescue Liverpool from dropping points. The third was the rebound from the penalty where he had to get up quickly to prevent Kenwyn Jones from a late equaliser. Along with the saves he looked comfortable in goal for the most part and handled the crosses well. Glen Johnson did not have to do much today and had a very quite match for his standards. Did not bomb down the right hand side as much, but defensively was very sure in the match and made no mistakes. Johnson has good competition for his place this season in the returning Martin Kelly and if Johnson does lose form then Kelly will be breathing right down his neck. Had a secure game but will need to better his performances if he is not to become complacent. Kolo Toure signed for Liverpool in the summer on a free transfer and a lot of people questioned whether he will be good enough for Liverpool, with a lot of supporters expecting him to more of a squad player. But he proved all his doubters wrong with a solid performance against Stoke. He’s now 32 but he does not lack pace and is extremely strong. Liverpool needed a bit of height, physicality and experience and Toure proved all of them today. Toure hit the crossbar for Liverpool after getting on the end of a corner with a blistering header onto the bar, and continued to look a threat for corners. Matched the physicality of Stoke City and is the needed extra height and experience that is needed, and he certainly proved his doubters wrong with this performance! Daniel Agger is Liverpool’s new vice captain after remaining with Liverpool for a number of years and showing undivided loyalty towards Liverpool, despite interest from Barcelona. His performance today was solid alongside Kolo Toure, but did give away a late penalty with a handball that could of cost Liverpool three points if it weren’t for Mignolet’s heroics. Handled the physicality of Stoke well and dealt with everything Stoke threw at the Reds defence. Had a solid game in the left-back slot for Liverpool, but is now under pressure as Liverpool are looking to sign a new left-back. With reports that Liverpool have agreed a loan deal for Aly Cissokho, Jose Enrique could well lose his place in the team. The Spaniard can be erratic at times but he wasn’t tested too much by Stoke. He looked a threat going forward, although some of his touches let him down and ended positive attacks. Had a good game against Stoke and is often the unsung hero in matches. Lucas holds the midfield and defence together and the game was no different against Stoke. He was making tackles, putting his body on the line and starting off attacks for Liverpool. You don’t usually notice his mark on the match but when he is not in the starting eleven you can see the gaps in the Liverpool team. Henderson started ahead of Joe Allen in the match which did surprise a lot of supporters after Joe Allen was so prominently featured in pre-season. Henderson looked lively and was box to box for all the game. Had a number of chances but hit most of them straight against the Stoke keeper Begovic and needs to improve his finishing. Do we expect anything else from Gerrard? He was his usual self pinging passes and pulling all the strings in the Liverpool team. Combines defence and attack brilliantly and was all over the park like he normally is. He plays in a deeper role now and lets Henderson bomb forward, although he still picks and chooses when he goes forward like he did in this match today. Coutinho had a brilliant game and created the most chances out of any Premier League teams on the opening day of the weekend. Coutinho rattled the post with a cracker of a strike and was involved in everything which was good about Liverpool’s attack play. Coutinho even got back defensively well and did not leave gaps when he was going forward. The Brazilian also forged a brilliant partnership with Iago Aspas and Daniel Sturridge. Daniel Sturridge was rated at just eighty percent fit for the game and it is a great credit to how well the England international played. Sturridge was the match winner with a brilliant 25 yard strike to beat Begovic in the Stoke goal, and it took something special to beat the Stoke keeper who had an impressive game. Sturridge forged a brilliant relationship on the field with Coutinho and Aspas. 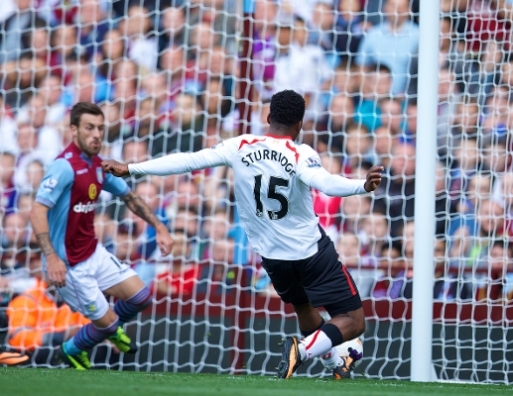 Sturridge had a few chances to double his goal tally but otherwise had a stunning game for Liverpool. When Suarez returns to the fold he could find it hard to get back into the team if Liverpool continue to play like this. Iago Aspas made his Barclays Premier League debut in this match today and did not show it. Looked lively for the whole match and showed how skilful he can be during the course of the match. Had a couple of chances to score and needs to improve his finishing if he is to be a success at the Reds. Aspas linked up well with Coutinho and Sturridge during the match. Raheem Sterling played 20 minutes of the match coming on the pitch for the impressive Aspas. Didn’t do a lot as Liverpool mostly had to defend for the last 15 minutes of the match. Had a impressive pre-season where he looked extremely lively. According to the Daily Mirror Liverpool have turned their attention to Brazilian striker Leandro Damiao, if a move for Willian falls through. Liverpool are after Brazilian Willian and are readying a 30millon bid and are prepared to pay Willian’s wages of 110,000-a-week, an increase in his 90,000-a-week salary at Anzhi. Tottenham and Manchester United are both preparing to hijack Liverpool’s bid to sign the 25-year-old, and Liverpool do not want to be left short for attacking options. Rodgers has the funds to make a marquee signing for Liverpool before the transfer window closes. Liverpool have already missed out on top targets Henrikh Mkhitaryan and Diego Costa, and Liverpool are concerned that the same could happen with Brazilian Willian. Liverpool have a list of back-ups though if the move does not go through and Leandro Damiao is at the top of the list. The striker has long been admired by Liverpool’s Premier League rivals Tottenham, but have failed to negotiate a deal with his club. Damiao still wants a move to Europe though, and Rodgers believes he can find a forward line that can take Liverpool to the next level.